Nothing is 100% in poker, but there are certain “poker truths” that you need to pay attention to. When I refer to “poker truths” I’m talking about something that’s true more than it is false. That’s as close as you can get in this game. What this means is, more often than not, against an average player, you’ll know where you stand on the turn. Example 1: You get a strong hand, AKs, in LP and put in a 3xBB raise. You get two callers. The flop misses you, Q93 rainbow, it’s checked around and you put in a continuation bet of ½ the pot. How does this bet look to your opponents? Example 2: Now let’s say that the flop hit you, K93, it’s checked around and you put in a bet of ½ the pot. How does this bet look to your opponents? The answer is; these two bets look exactly the same. It is hard for your opponents to know what they’re up against. Now take example 1 and replace the AK with another monster, 72 off. Even though you really only have 72o, to your opponents the bet looks exactly the same. My point here is not to raise with any two cards (though you can in the right situation), but is to point out that it is on the flop that hands are most easily disguised. This is where deception can be very useful. This is where you can often “represent” a hand and get away with it. The turn is where things get clearer. Fewer players are willing to continue, at the risk of losing more chips, their bluff on the turn. Therefore, more often than not, if they bet, they have a legitimate hand. So move forward cautiously when faced with a turn bet. An even bigger risk is calling a raise on the turn. A lot of players wait until the turn to raise their monster hands, hoping to get extra chips on the flop with a slow play. If you run into a turn raise after a relatively quiet flop you should be very cautious moving forward, there’s an extremely good chance you’ll need better than top pair to win this hand. That pattern of smooth calling a flop bet or raise and raising the turn is almost always going to be trouble. Very few players make this move without a big hand. According to some statistics I found that were compiled from the poker-tracker stats of several on-line players (100,000+ hands). A turn raiser goes on to win the hand 63% of the time. Even more glaring than that is 71% of turn check-raisers go on to win the hand! The data also shows that turn check-raises are generally playing 2 pair or better. So think hard before calling with just top pair. That doesn’t mean you should automatically fold your top pair to a raiser. If you’re heads up against a loose raiser or someone who regularly bets their draws, then your top pair may very well be good for a call or re-raise. But, if you’re against a tight raiser or if someone raised after multiple players have called bets, you’re top pair is not good, so dump it. Another problem with calling raises on the turn is that you often end up calling the river. A good rule of thumb when deciding whether to call a turn bet is to include a river bet in your odds calculation. So if you need to call 2 bets into a 10 bet pot (giving you 5-1 odds) you should also add a couple bets for the river (2.5-1 odds) which suddenly makes a lot of calling situations folding situations. Because the turn is where the “truth” is generally told, it’s a good place for you to make some advanced plays at the pot. A turn raise or check raise bluff is very powerful in the right situations, mostly heads up. Just make sure you have a good read on your opponent and don’t get carried away. These are great moves in moderation. In my opinion, the turn is the toughest street to play in Texas Holdem. Making the right moves here is what will ultimately make you a winning player. So going forward, before quickly calling turn bets and raises, ask yourself a few questions that may help you define your opponent’s hand. What types of hands would he have where he would smooth call the flop and raise the turn? Two pair? A set? Does the board complete a draw? What types of hands would he need to bet the flop and continue on the turn? Top pair? A big draw? Overs? First and foremost you should trust your reads and knowledge of your opponents, but when that’s not enough, trust the turn. P.S. KAP thanks justthedude for the article! Comment on this article and others in the strategy section of the poker forum. 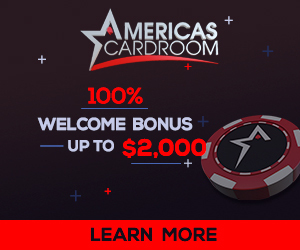 Get 25% INSTANT cash bonus on your first deposit at 888 Poker. KAP exclusive!! Play No Limit Holdem at Bodog poker. Read Our Bodog Poker Review.